The new port of Igoumenitsa was inaugurated on 19 September 2003. Located on the South side of land-based port area, outside the urban fabric of the city and next to the municipal district of Ladochwrioy. 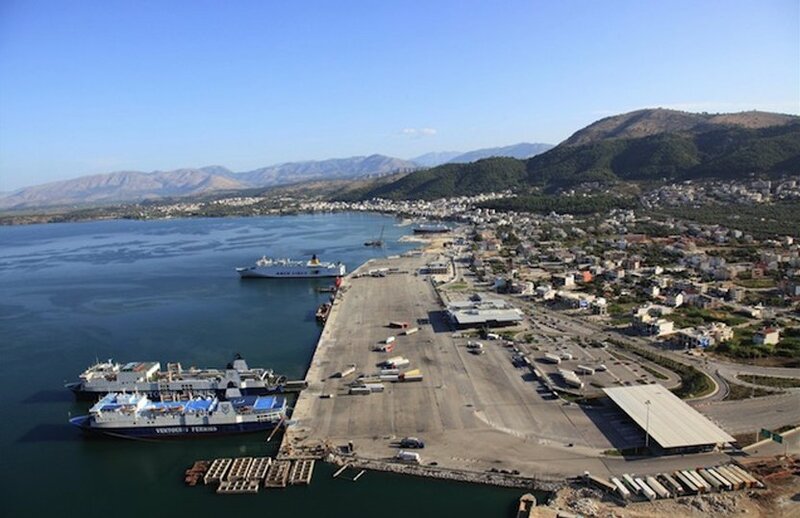 As one of the most important transport hubs in Western Greece, the port of Igoumenitsa connects with Brindisi, Bari, Ancona and Venice, while in the territory of the country is connected with Patras, Corfu, Kefallonia and Paxos. For information on arrivals and departures you can communicate with the phone port 26650-99300. By road: Via Egnatia Odos (E90) Via E.o. Igoumenitsa-Ioannina-Metsovo-Trikalon with code number r-90/r-92 for E.o. Igoumenitsa-Ioannina and with e-92 for the Department from Ioannina to the limits of the prefectures Ioannina-Trikala. Through the national road Igoumenitsa – Preveza with code number E55. For services performed through the KTEL Thesprotia Prefecture (Tel. ): + 30 26650 23710-22309. Daily-frequent departures to Corfu. Daily departures for Patras, Bari, Brindisi, Ancona, and Venice with corporations, Minoan Lines, Superfast Ferries and Superfast Anek-Consortium. Air Champion24 .com offers ferries to and from Igoumenitsa on all services performed from any port of Greece. You can easily search and choose your ferry route that it serves, easily and instantly. The booking takes place in real time using your credit card or by making a booking with the help of the staff of our Office.